"Technology is always a worthwhile investment... If you invest wisely." "If saving time, money, and hassle for your school sounds appealing to you or you are facing an aging infrastructure that will require server updates in the next few years then we at Solutions4ebiz have a simplified solution to accomplish all of the above." At Solutions4ebiz we understand some of the unique and stifling issues school systems face when employing IT solutions. One issue that schools are often confronted with when dealing with technology and school is a limited IT support team. Many of the competitors today offer "solutions" that require time and manpower intensive work. With that in mind, IT in schools have to focus on a barrage of other issues and have minimal time for extensive training. While this is not unlike other businesses, schools suffer greatly when a failure, or "downtime" occurs. With limited IT staff and the overall increase of technology in the school system, these downtimes can really disrupt the learning environment. Schools are especially tricky when dealing with storage, size, and number of servers because they are constantly changing. As the school system expands and technology expands you'll find you need more and more servers. The inability to see into the future or to know the advancement in the education system that will undoubtedly happen, results in school systems having to rip and replace, change extensive complex systems, all of which are becoming increasingly expensive to update and expand. 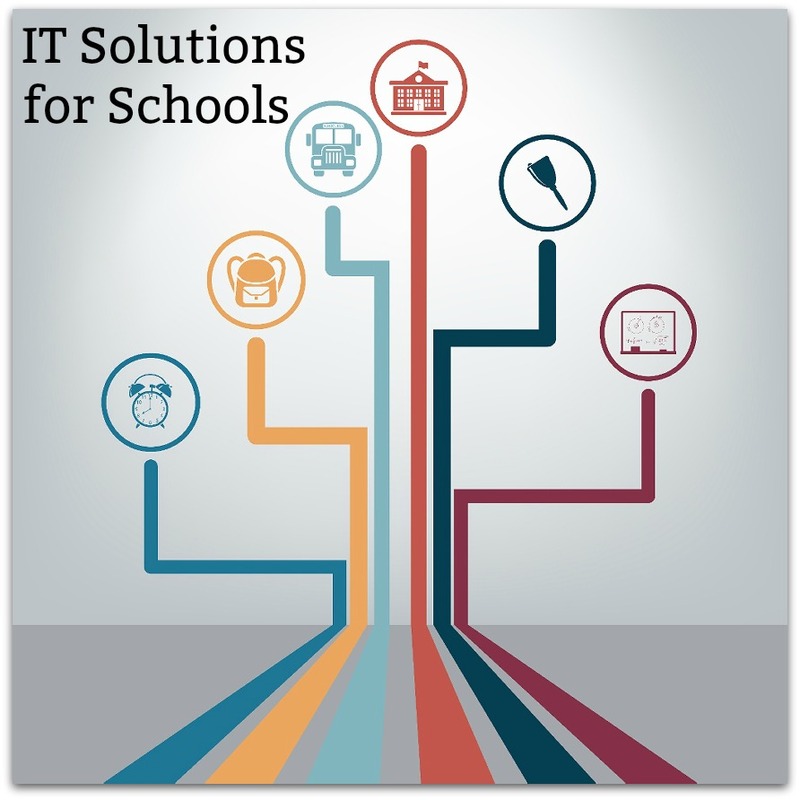 With all of the implementations that school systems need out of their IT department they are often tasked with interacting with multiple vendors and manufacturers with each of them having different support organizations, maintenance contracts, and license renewals, all of which take up precious time of the IT professional. Lastly, but certainly not least, school systems face a big barrier in the form of a strict budget. A majority of IT upgrades, space, and support requires a large and often unobtainable investment from the school system. Disasters can come in many forms ranging from human error to malicious IT attacks and even natural disasters. As an IT professional (or someone that relies on technology) the goal is to be resilient, highly available, and easy to recover. We at Solutions4ebiz offer a simplified solution with a number of built in disaster recovery capabilities which allow our users to recover quickly anything from a single file to an entire site. We are confident that within a matter of minutes our technology will have you back up and running despite any type of disaster. Most of you in an IT department at a school system are acutely aware of the issues plaguing school technology today. But what would you say if I told you we found a solution that would eliminate a majority, if not all, of your IT headaches? Here at Solutions4ebiz we focus our efforts on researching the market and finding the ideal technology to fit each need. By making a cohesive system to carry out tasks that previously required multiple vendors, equipment types, and technologies it is easy to see how it is simpler to orchestrate. This will also allow you to focus more of your time and budget on the things that you are passionate about. Here are some additional benefits that will directly impact you as a school system IT professional and continue the ever growing trend of more access to technology in schools.